A demon whose true name is Anung Un Rama Hellboy was brought to Earth as an infant by Nazi occultists. He was discovered by the Allied Forces; amongst them, Professor Trevor Bruttenholm, who formed the United States Bureau for Paranormal Research and Defense (BPRD). In time Hellboy grew to be a large, red-skinned demon with a tail, horns and an oversized right hand made of stone. He has been described as smelling of dry-roasted peanuts. Although a bit gruff, he shows none of the malevolence thought to be intrinsic to demons, and works with other strange creatures in the BPRD. This is said to be because of his upbringing under Professor Bruttenholm, who raised him as a normal boy and taught him how to behave normally. 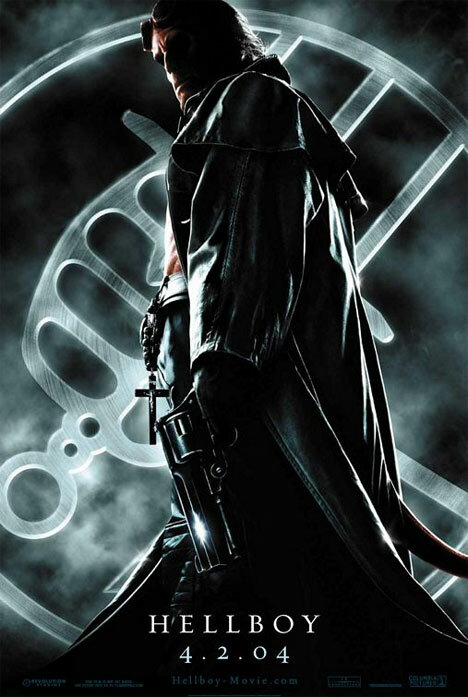 Hellboy is a supernatural action adventure based on Mike Mignola's popular Dark Horse Comics series of the same name. Born in the flames of hell, and brought to our world in a pagan ritual, the fierce red hero, Hellboy (Ron Perlman), was saved by his friend and mentor, the benevolent Dr. Broom (Hurt). Raised in Broom's Bureau for Paranormal Research and Defense, Hellboy joins the likes of the "Mer-Man" Abe Sapien, Liz Sherman (Selma Blair), the woman he loves who can psychically control fire, and Myers, the FBI agent who is his rival for Liz's affections. Hellboy Movies Prop Peplicas, Figures, Toys and Collectibles! Sideshow is proud to bring you this 1:1 scale prop replica of 'The Samaritan,' Hellboy's famous pistol used in the film Hellboy II: The Golden Army. The gun features an opening chamber, which allows you to remove all four metal bullets from the rotating cylinder! The display stand features the an engraved B.P.R.D logo and four bullet display spaces. The round, red portion of the stand can be easily removed from the base to wall-mounted for alternate display. Each limited edition gun is hand crafted in dense metal with a real wooden grip and authentic leather braid. The Samaritan replica pistol is hand crafted to Sideshow's exacting standards, ready to take its place in your Hellboy display! When the world of magic threatened the world of civilization, Hellboy and the Bereau of Paranormal Research and Defense answered the call. Hellboy, the Demon who has lived for decades among humanity, clashed with the leader of the magical world, Prince Nuada, for the fate of the world! The weapons the two wielded in this summer's film, Hellboy II: The Golden Army, can be yours with these prop replicas! 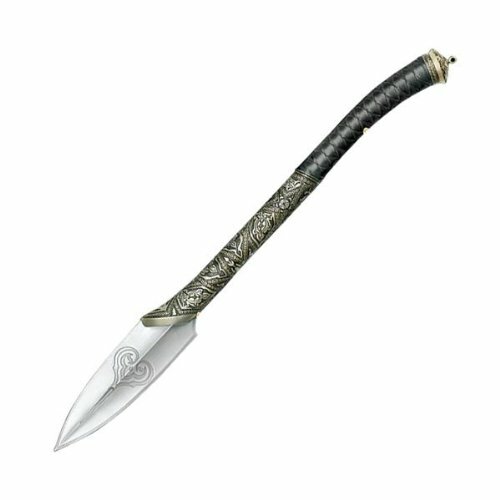 Prince Nuada's Spear measures approximately 30" long, and Hellboy's Sword measures approximately 32" long. The design of each is based on the props used in the film, and are based on original production designs. Each replica is limited to a production of 5,000 pieces and comes with a numbered plaque and display base. Featured is an exquisitely detailed replica of the sword used by Hellboy in his epic battle with Prince Nuada personally hand-signed by Hellboy himself, Ron Perlman. Ron portrayed the toughest, kitten-loving hero from Hell in the 2008 film directed by the Oscar--nominated Guillermo del Toro. In addition, Ron also added a 'Hellboy' inscription to the sword measureing 33 3/4" in overall length. 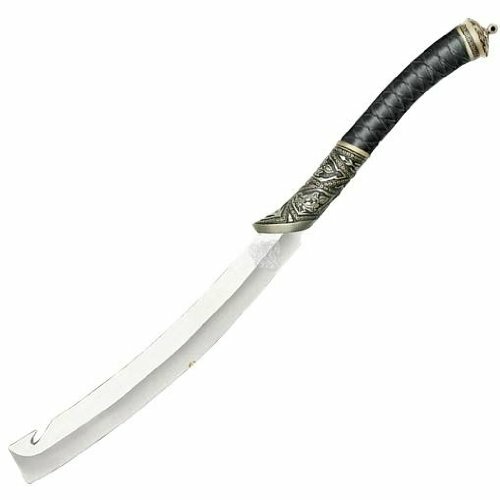 Boasting a highly polished stainless steel blade and genuine leather wrapped handle this museum quality piece is individually serial numbered. 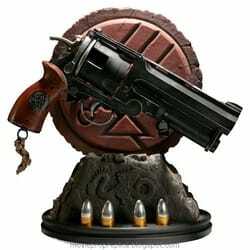 Complete with Hellboy II wall mounted display plaque and a bonus 13" Prince Nuada dagger replica. 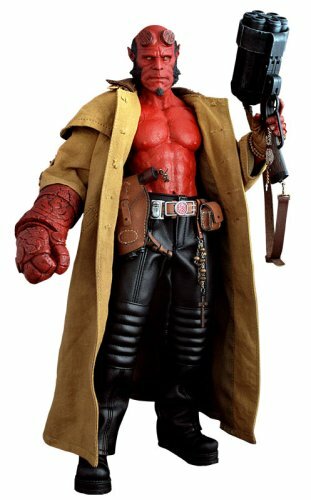 Sideshow Collectibles is proud to bring you Hellboy, the latest from the Hot Toys Movie Masterpiece line of 12-inch figures. Each figure features Hot Toys' fully articulated 12-inch figure body and a generous number of accessories. These are some of the finest 12-inch figures ever created, featuring incredible likenesses and amazingly detailed costumes. 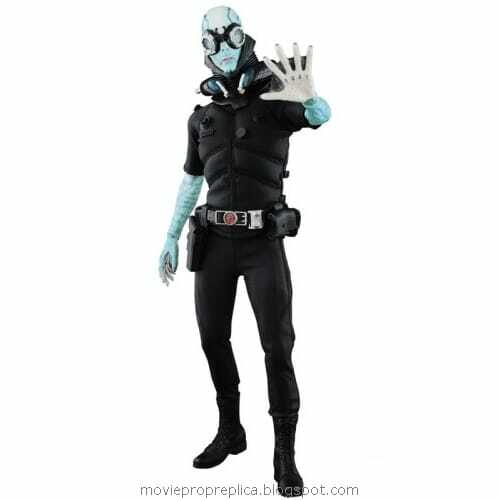 Sideshow Collectibles is proud to bring you Hellboys sidekick Abe Sapien, the latest from the Hot Toys Movie Masterpiece line of 12-inch figures. Each figure features Hot Toys' fully articulated 12-inch figure body and a generous number of accessories. These are some of the finest 12-inch figures ever created, featuring incredible likenesses and amazingly detailed costumes.